If Stinker the skunk is nearby, he will fall in love with the Bombay and chase it around. 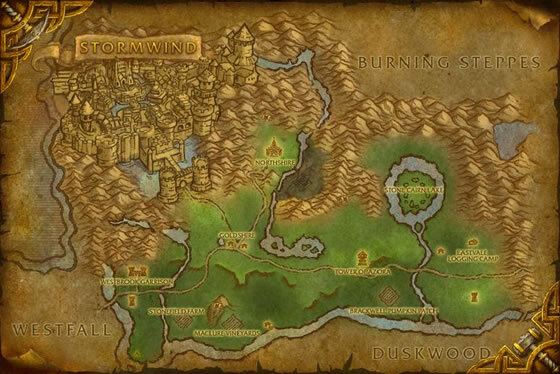 Seems to be bugged (BfA). I have a level four that I was trying to further level today and all three abilities were locked. This is my favorite pet to bring into Wailing Caverns for the first 3 battles. He is so fast that even when the enemy pets cast Screech to slow him down....they can't slow him down. So basic the strategy is, Pounce, Pounce, cast Devour to heal up when moment is right. His pounce ability will always do over 400hp every round, so it's a easy battle. Of course bring in lower level pets to move up in experience, while this Cat decimates opponents. i guess some of u are wondering how to get this pet. u go a little into the path to goldshire from stormwind. then turn left, and you will find a house. there is the vendor! on the other hand, this cat may be cute, but not the best at battle. Just recently stoned him & leveled him. I was surprised at his abilities nice pet to have. Got a beast battle stone while battling in Hyjal and used it to upgrade this pet. Named her Isis after Catwomen's pet cat and partner. You have to use your battle stones to get a rare one. They are only sold in uncommon quality. Well maybe you can find a rare on the AH. Does anyone know if these and other purchased pets can be obtained in rare? All of mine seem to be uncommon. 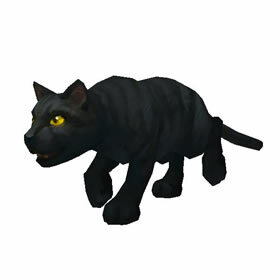 My very first in game pet, and therefore a nostalgic favorite on two counts - a friend gave it to me on my birthday (about a month into the Vanilla release), in memory of a beloved RL black cat who had recently died. Until bag space for pets was no longer an issue, this and Murky were my only (virtual) pets. I really really think they need to add to the cats. It would be neat if they bumped up against their owners, groomed, or attacked npc mice. If those can't be done, at least have it purr on click or meow every once in a while would be neat. The Bombay and the Black Tabby are the two cats Stinker will chase. When in close proximity, Stinker gets hearts over his head and will chase the cat quite far. Eventually the cat spurns his love and his heart breaks and both cat and skunk return to their owners. However Stinker's memory is short-lived, and he soon tries again... let us make beautiful music together.